Turns out that a low-carbon economy is not only on the way, but already underway. On April 13 in Québec City, the province of Ontario joined the ranks of Québec, California, and a swath of European nations, announcing their plans to implement a cap-and-trade system for pricing carbon and reducing the province’s greenhouse gas emissions. This comes as a welcome and critical step in the Province’s ongoing attempts to address climate change and foster a sustainable economy for Ontario. Of course, as expected, the announcement has been met with some criticism – from the political opposition and pundits alike, to the media and international community and more – and it will surely continue as we approach the looming federal election. There are lengths to go to map out the specifics of Ontario’s cap-and-trade system. We can expect rounds of intense debate, lobbying, and consultations in determining how the province will set up this system. This conversation is crucial and it must be focused on ensuring that the system is as efficient, equitable, transparent, predictable, & effective as possible. 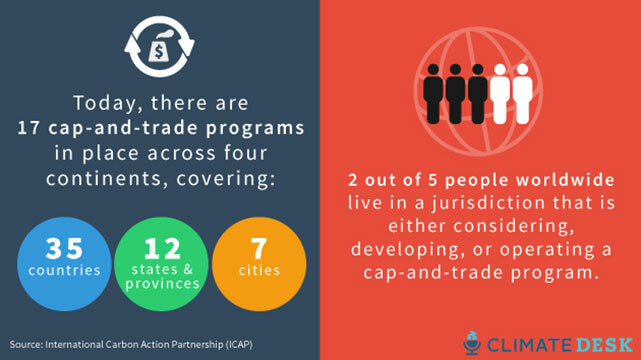 Ontario will soon be added to this growing group of cap-and-trade jurisdictions. Interestingly, businesses and industry have taken less to the chorus of opposition towards this system. Instead, heavy economic hitters located in Ontario and globally have come out in support of a shift toward carbon pricing policy, indicating that even some of the largest emitters are ready for action on climate change. Indeed it is increasingly clear that those who oppose decisive action on climate change are on the wrong side of history. Climate change is both an enormous economic and ecological threat to Canada and the world. A raft of reports (see New Climate Economy, Deep Decarbonization Pathways, and Canada’s Ecofiscal Commission) demonstrate that acting on climate change would not only avert the economic and environmental costs of inaction, but offer huge benefits for the Canadian economy. Fortunately here in Ontario these arguments for pricing carbon and acting on climate change are already familiar: the transition to a low-carbon economy has in fact already been getting underway in Ontario for years. 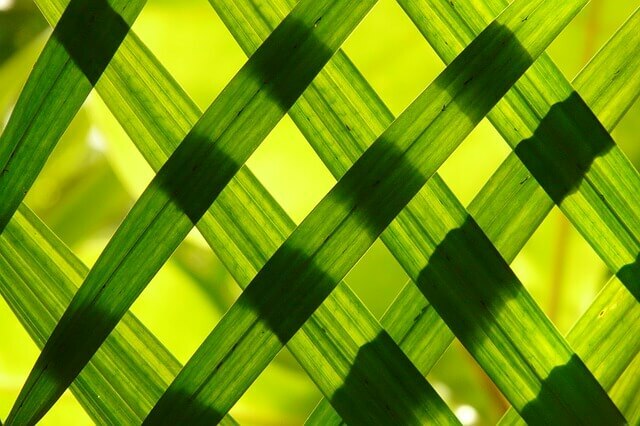 Even before a carbon policy, businesses and organizations across diverse economic sectors have been quietly going about efforts to reduce their emissions, achieve carbon reduction goals and shift towards a low-carbon economy. CoLab is seeing this progress first-hand across the province: networks of businesses and organizations are working together, in both their individual and collective best interests, to reduce their carbon emissions and learn the value of engaging in sustainability. In Waterloo Region, for example, more than 65 organizations representing nearly 15 per cent of the workforce have set targets to reduce their emissions equivalent to taking 12,000 cars off road through the Regional Carbon Initiative (RCI). Diverse sectors are represented in the RCI too– from manufacturing to retail, insurance to health care, and both social and public sectors. As they do so, they are switching to low-carbon products and services and realizing a positive return on their investment. For example, in 2013, five organizations that set GHG reduction targets in Waterloo Region spent $70,000 on energy audits, then $90,000 more on low-carbon projects identified in those audits. One of these – Conestoga Mall, owned by Ivanhoé Cambridge – has already met their 20 per cent carbon reduction target (five years early) and has now increased their target to 40 per cent by 2020. Meanwhile, the Niagara Sustainability Initiative (NSI) is now working with 23 businesses committed to reducing over 6,000 tonnes of carbon pollution and Durham Sustain Ability has re-launched a program that already has 12 businesses committed to setting their own greenhouse gas (GHG) reduction targets. Furthermore, organizations in Ottawa (EnviroCentre), Sudbury (reThink Green), Kingston (Sustainable Kingston) and York Region (Windfall Ecology Centre) are also following suit. 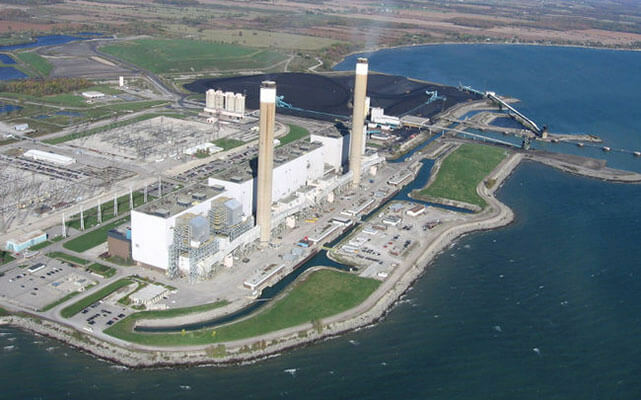 Coal-burning Nanticoke Generating Station was decommissioned in 2013 as part of the Government of Ontario’s commitment to eliminate coal power. Add to all of this the province’s efforts to phase out coal, the increasing shift towards a higher percentage of renewable energy sources, and the rise of Ontario’s cleantech sector: the concerted move to decouple emissions from the economy is becoming all the more clear. 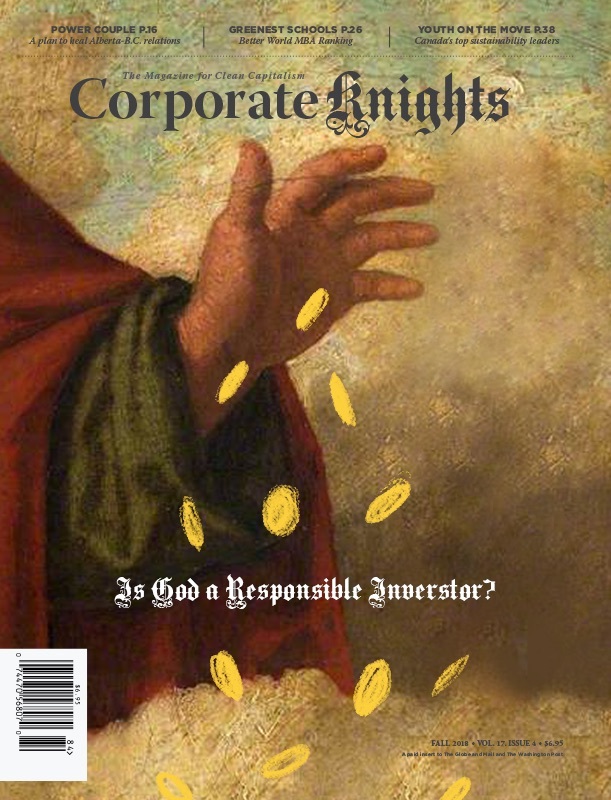 Why are these organizations and businesses doing all of this? CoLab believes that, both individually and collectively, businesses, organizations, and governments have come to the conclusion that they can do both well and good. Moving forward, as Ontario’s new carbon-pricing policy unfolds, let us learn from those who are leading the way towards a low-carbon future. Rather than revisiting stale debates about what the merits are of acting now, let’s focus the conversation on how to best accelerate the transition already underway. To continue the dialogue and hear from Canada’s leading voices on the low-carbon economy, register for CoLab Connects 2015, an evening to celebrate the progress of CoLab’s Network and spark conversation on how we can accelerate a cleaner economy in Ontario. The reception will be held on June 17th from 6:30-9pm at Wychwood Barns in Toronto.